In many businesses, owners and operators often say that receiving a larger than normal order for work is a “good problem to have.” The thinking is that if you book a big job that is outside of your ability to perform, you will find a way to succeed regardless. But that kind of thinking only delays the inevitable for a few moments. True, a large paint job can be very profitable for your paint business, but only if you find a way to complete it to the client’s wishes. Finding more painters or being able to finance materials can often be an insurmountable challenge. While the temptation may be great to ask the client for prepayment or to pay for the materials used, both of these options are unappealing. If you have to request that your client cover costs before the work begins, then you may be signaling to them that you are in over your head. Make your money work for your paint business. Image courtesy of New North. Painters are not likely to work without assurance that they will be paid in full and on time. As a result, it is usually not a great idea to ask your workforce to “trust you” that you’ll get them paid in good time. Large jobs often extend through one or more pay periods and the last challenge you need is a team of disgruntled painters threatening not to work until they are paid. Making sure they are paid on time and their checks clear should be your first administrative priority. With that in mind, how can you address your second challenge, that of actually buying the materials you need to do the work in the first place? Here are six tips for financing large paint jobs without raising any red flags to your client. Pay cash on small jobs or whenever possible. 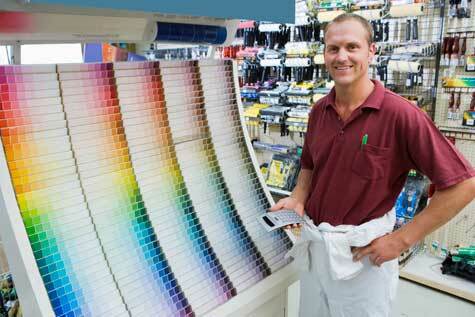 Many paint and paint materials vendors will offer what is called Net Terms to commercial clients. This means that they will give you the materials you need with an agreement that you will pay them within a specified time period. Beware though: paying late (or not at all) can damage your relationship with these vendors in a way that is hard to recover from. Instead, offer to pay cash whenever you can afford it. Terms accounts create extra work for the vendor as they track open invoices and deal with cash flow issues of their own. Offering to pay cash not only eliminates this headache, but also builds goodwill over time. If you can afford to pay right away for materials, even if the job is small, the vendor will begin to see you in a favorable light as you have reduced their workload and demonstrated capital stability in your business. Pay invoices noticeably ahead of time. If you do establish credit accounts with vendors, either by way of a credit card they offer or with an in-house terms account, do your best to pay the invoice in full long before it is due. No one likes to worry about receiving payments on time and wondering if they will be able to pay their own bills. Like paying cash, paying invoices ahead of time reduces headache for your vendors and demonstrates that you are using credit for convenience, not out of necessity. Treat your vendors with respect. Refer business to the vendor. One of the underutilized ways to build goodwill with a vendor is to refer business their way. 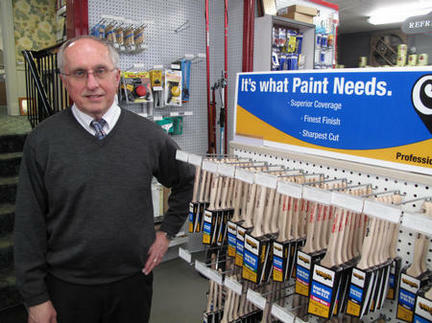 Just like you, paint and paint materials stores are looking to grow their bottom line as well. Helping them do so by sending colleagues and even clients to them is a great way to demonstrate your loyalty to them. “Brag” about your business. Even vendors that like you and know you are likely to remain cautious with any financial arrangement you may enter into. One non-financial way to ease their concerns (if only a little) is to communicate to them that your business is booming and your are in a good position to pay your bills. Vendors that have you on credit or terms accounts may be more likely to increase your limits (so you can more easily accommodate a larger job) if they perceive your business is in a good place. Negotiate discounts for paying early. It is customary in many businesses to offer customers a discount for paying terms invoices early. For example, a Net 30 invoice (due thirty days after receipt) can often be tied to a 2% discount if paid within ten days (also known as 2% 10 Net 30). While two percent may not seem like much, you should view it as “free” money to collect on your way to building goodwill with the vendor by paying your bills early. Negotiating terms more favorable to your own cash flow can pay huge dividends. Keep a credit card on file. Finally, an excellent way to build financial trust with vendors is to let them keep a credit card on file with your terms account. This gives the vendor the security of knowing that in the event you don’t pay your invoice in the agreed upon time period, they can charge your credit card for the amount due. While they will incur a small credit card charge to do so, that charge is substantially less than the cost of not being paid at all. Vendor relationships are key to your business. Remaining on excellent terms with vendors is a great way to make sure you have an ally when a large job comes in. If you have paid your credit accounts promptly and paid cash for smaller transactions, you stand a much better chance of a vendor agreeing to quickly increase your credit limit should you land a large job that requires extra financing. Letting the people you work with know that you value the financial considerations they extend to you will do wonders not only for your reputation, but also for your ability to accommodate larger jobs when they come your way. Click here to learn more about profitably operating a paint business!